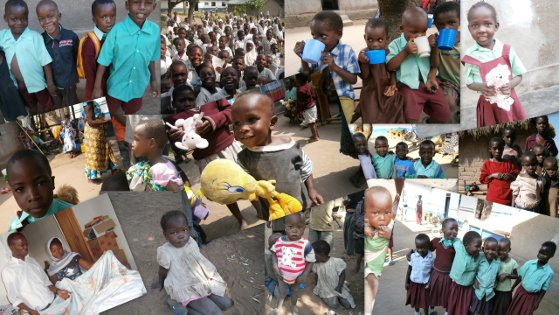 UPDATE FOR SCHOOL UNIFORMS, BOOKS, PENCILS, SOLAR LIGHTS AND MEDICAL CARE. We recently received a substantial donation from the Rotary Club of Filey and Rotary District 1040. This is enabling us to provide over 400 sets of school uniforms, exercise books, pens and pencils to the most disadvantaged children in the villages. Our thanks go to the Staff at Lake Victoria Childrens Society who assist us by making many of the uniforms, and distributing these items. To date we have provided over 3000 Solar Lights to replace the toxic and dangerous kerosene lamps which are traditionally used in the homes that do not have electricity. Since starting the Smiles To Tanzania Medical Fund, we have helped many children who needed referring to hospital to receive more specialised medical care. Unfortunately many parents/guardians are not in a position to pay for transport to hospital and the cost of treatment.